Once your treatment of periodontal disease has occurred, it’s important for you to maintain daily home dental cleanings. After all, it only takes 24 hours for plaque to become tartar! 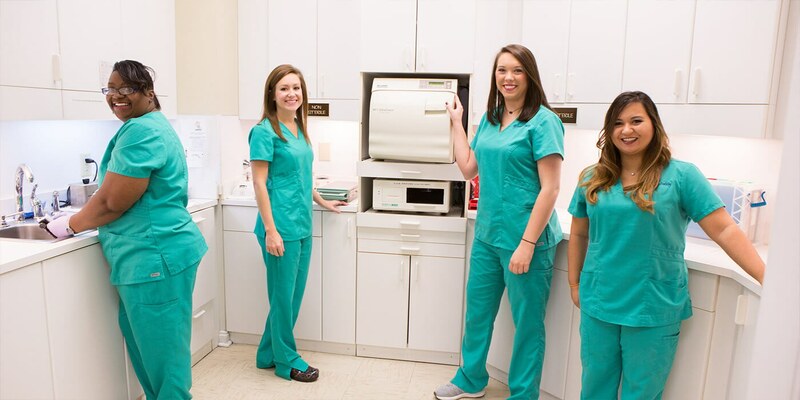 In addition to home cleanings, Montgomery Dentistry will recommend regular check-ups and professional cleanings to prevent a relapse into periodontal disease. Four visits per year is usually required, and your dentist will be sure to thoroughly examine all of the previously infected areas during this time. Your dentist will also take time to check above and below the gum lines to remove any new build up of plaque or tartar. X-rays to detect tooth and root positioning, as well as any decay, bone loss, or tumors. Check-up of restoration work such as fillings, inlays, crowns, etc. Oral hygiene recommendations such as electric toothbrushes, special fluorides, etc. We work hard to prevent periodontal disease, and we want to teach you to do the same!